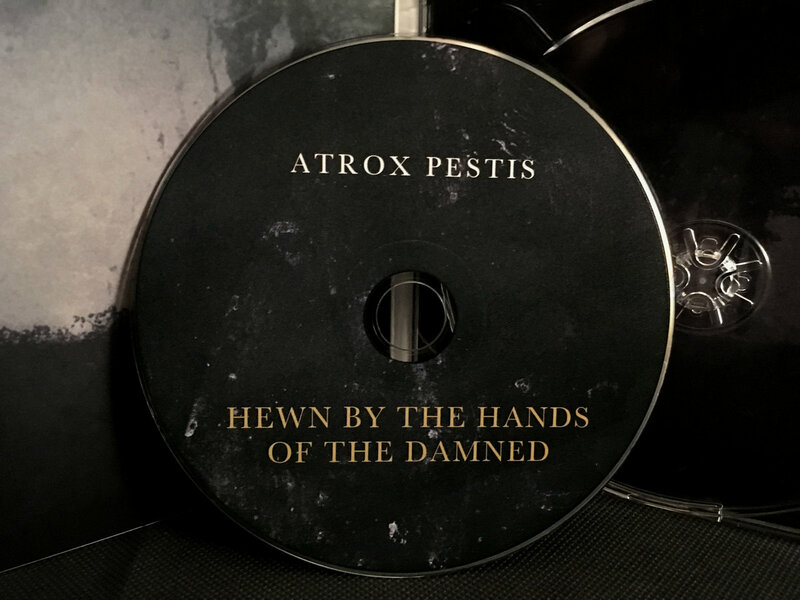 We are very pleased to share with you an exclusive preview of the new Atrox Pestis album, Hewn by the Hands of the Damned, set for release on Chryptus Records! Grant Richardson, the man behind Atrox Pestis is better known for his main project Gnawed. The death industrial project, Gnawed, has already released several acclaimed albums through Malignant Records as well as their own label, Maniacal Hatred. 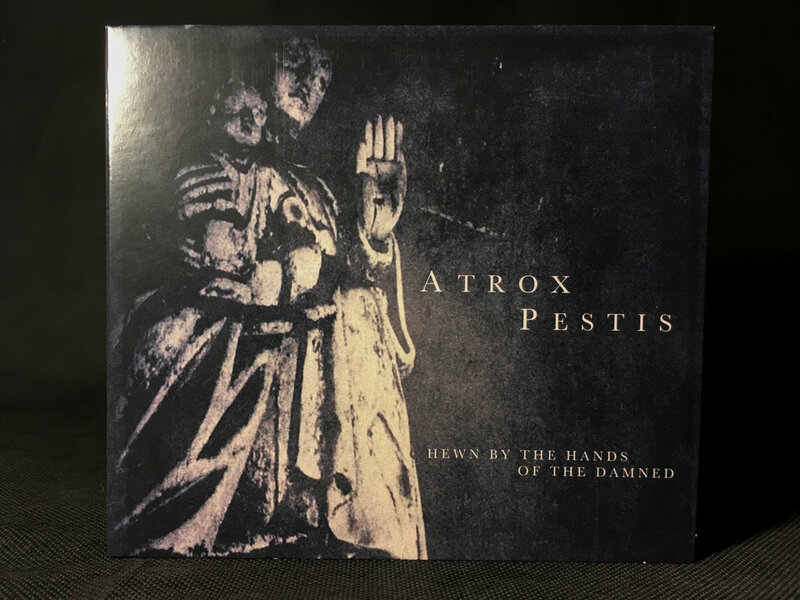 The full length debut of his dark ambient project Atrox Pestis is being released courtesy of Chryptus Records, an up & coming label which has already released albums by Strigae and Anthony Amelang. The promotional video is an eight minute piece created by Grant Richardson himself, and complements the title track “Hewn by the Hands of the Damned”. Hewn by the Hands of the Damned releases January 5, 2018! Who are “the damned,” the living or the dead, and which of these is the cruel plague? We have riven great scars in the surface of the planet. Each human age brings with it more terrible capabilities. Do we approach godhood, or something else? The ambivalence of the great powers of the universe is frightening. Where Gnawed is the bloody heartbeat of humans crushed by their own creation, Atrox Pestis is that same barren world self-reflecting. Pristine bass, distant scrape, the rumination of a world luxuriating in deep, geological time. Those ambivalent forces have set about reshaping our world. What will be created next? 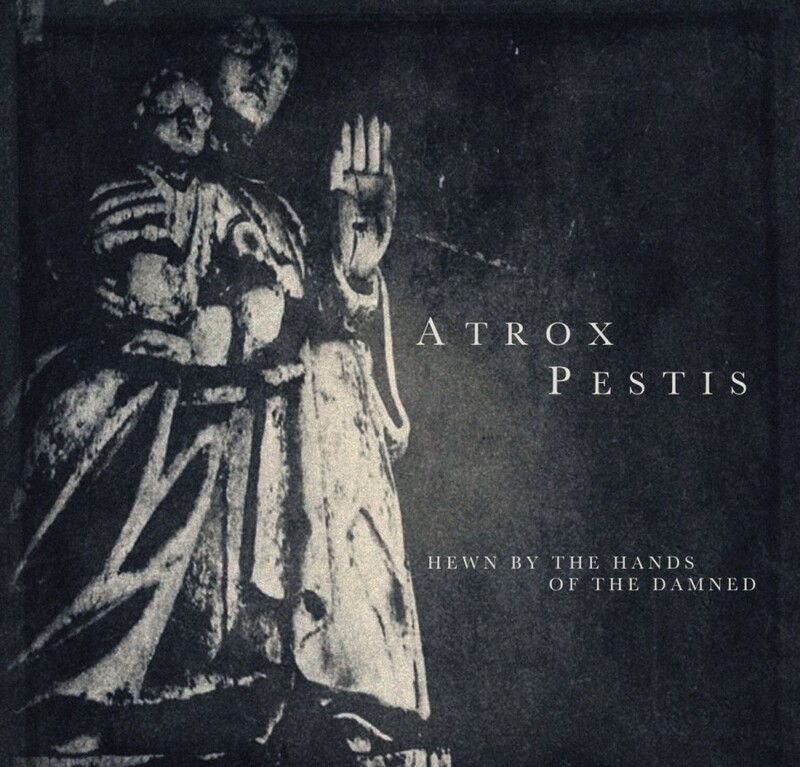 Read the review of Atrox Pestis‘ previous EP here.